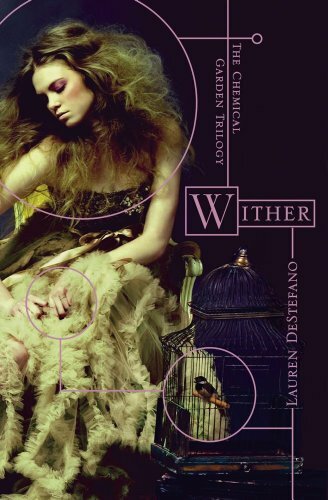 I finished reading Wither by Lauren DeStefano yesterday. I wanted to make a review as soon as possible unfortunately internet access was not possible so I’m just making one now. The story centers around Rhine, a girl who was kidnapped and forced to become a bride for the 21 year old “Governor”. I like Rhine, the heroine of the story. She wasn’t really annoying. I think my prejudice against female characters is starting to pass. Anyway, I like her. She’s a strong female character who is emotional and at the same time not afraid to manipulate other people in order to get what she wants. I’m a fan of strong female characters so automatically I ended up loving her and wanting to know more about her. Lastly, there’s Gabriel. He is a servant in the mansion where most of the events in the book take place. He is a part of the love triangle in the story. Unfortunately, as much as I love him I still prefer Linden over him. I loved this book. The pacing was excellent and not dragging. The characters were well written.I could actually feel for them. Their struggles, hardships etc. I especially love the way Lauren DeStefano write the female characters. She made them seem like weaklings but deep down they’re all amazing in their own ways. Plus the fact that the villain is scary as hell and I just love it. I can’t wait for Fever which is the second novel in The Chemical Garden Trilogy.